How often do you turn to a few quick pumps of hand sanitizers instead of taking the time to thoroughly wash and dry your hands? Marketed as an effective alternative to traditional hand washing, hand sanitizers are not all they are cracked up to be. Here’s what you should know. The truth is, washing hands with soap and water is the most effective way to prevent disease – especially during cold and flu season. As it turns out, hand sanitizer isn’t too great at sanitizing, especially when the alcohol content is less than 60%. Even if you use hospital-grade hand sanitizer, this is not enough to guarantee any protection during flu season. The reason for this is because the majority of people don’t know how to use hand sanitizer properly. The best way to keep your hands entirely sanitized is to apply sanitizer to the entire hand, not just your palm. In addition, sanitizers work best in clinical settings where hands are mostly clean but may just come in contact with dangerous pathogens. For everyday use – such as a mother with three little kids who may spend most of the day with dirty hands, sanitizers are not particularly helpful. “Hands may become very greasy or soiled in community settings, such as after people handle food, play sports, work in the garden, or go camping or fishing. 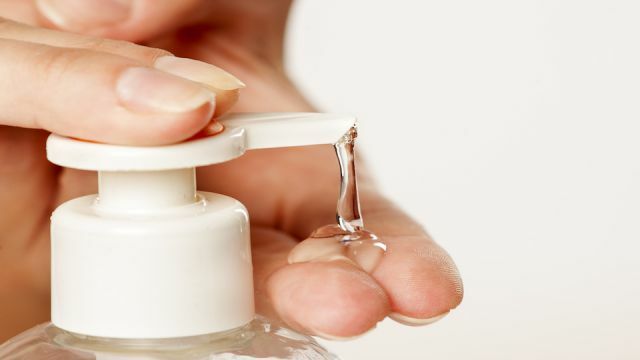 When hands are heavily soiled or greasy, hand sanitizers may not work well, ” says the CDC. When we use products with triclosan constantly, the bacteria that these products are designed to kill end up developing an immunity to it and sharing this immunity with other types of bacteria through DNA transfer. Even if a hand sanitizer does not contain triclosan, it is likely alcohol based. While using alcohol-based sanitizer without any other additives every once in a while is not terrible for you, when you use it regularly, it can really dry out your skin. Dry, cracked, broken skin is a perfect environment for bacteria and other pathogens to enter your body. When it comes to hand hygiene, all you need is to wash your hands with good old fashioned soap and water. Organic soap is always best to avoid the hundreds of chemical additives that may be present in conventional varieties. However, it is understandable to want something with you to quickly clean up on the go when you can’t get to a sink. These artificial fragrances can be quite irritating to some people and have been linked to allergies, respiratory ailments, and potential hormonal disruption. Quite a bit of research has been performed on parabens in recent years, and they have been linked to many potential health concerns including elevated estrogen levels, endocrine disruption, toxicity to the immune, reproductive and nervous systems, and even some hormonally-based cancers. Along with potentially contributing to antibiotic resistance, overuse of antibacterial hand sanitizing products can weaken your immune system. There is such a thing as being too clean. When we do not expose our immune systems to the germs around us once in a while, they do not gain experience in dealing with the invading pathogens. This can leave us more susceptible to allergies, and potentially increase the risk of developing asthma. In young children, these effects are even more pronounced, as their immune systems are still developing and need some exposure to everyday germs to become strong. At the end of the day, the old fashioned method of scrubbing hands with soap and warm water beats sanitizers hands down for keeping dangerous bacteria at bay. No need to waste money on hand sanitizers that aren’t really worth anything but a false peace of mind!